Valid at all Globus stores. Click here to view the list of stores near you. Globus is a one-stop shop for all your fashion and lifestyle needs. Globus aims at providing a hassle free and enjoyable shopping experience to shoppers across the country with the widest range of brands and products. 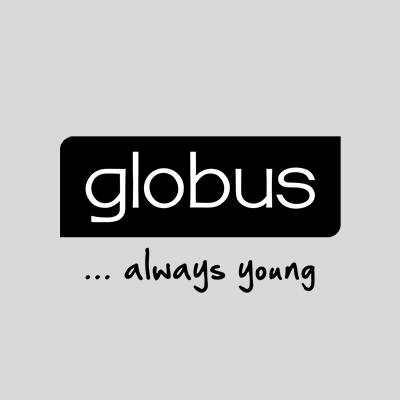 Globus is the brand of choice for the fashion-conscious, independent young people who want to dress well and with pocket friendly pricing. 2. Valid at all Globus stores. Click here to view the list of stores near you. 4. After purchasing this deal, you will receive 2 movie vouchers worth Rs.150 each via email/post-transaction screen. 7. Any additional shopping amount above the voucher amount has to be paid in cash or card at the counter. 8. The voucher can't be exchanged for cash or cheque. Visit the Globus store to redeem the value of the voucher. 1. Customer will receive two Movie vouchers worth Rs.150 each. 2. Voucher will be valid for 10 days. 3. Valid on the minimum booking of Rs. 300. 4. This offer is not applicable to cinemas which accept Advance tokens only (with Ticket Price to be paid at the counter). 5. These vouchers are only applicable for booking movie tickets on paytm.com and Paytm App.